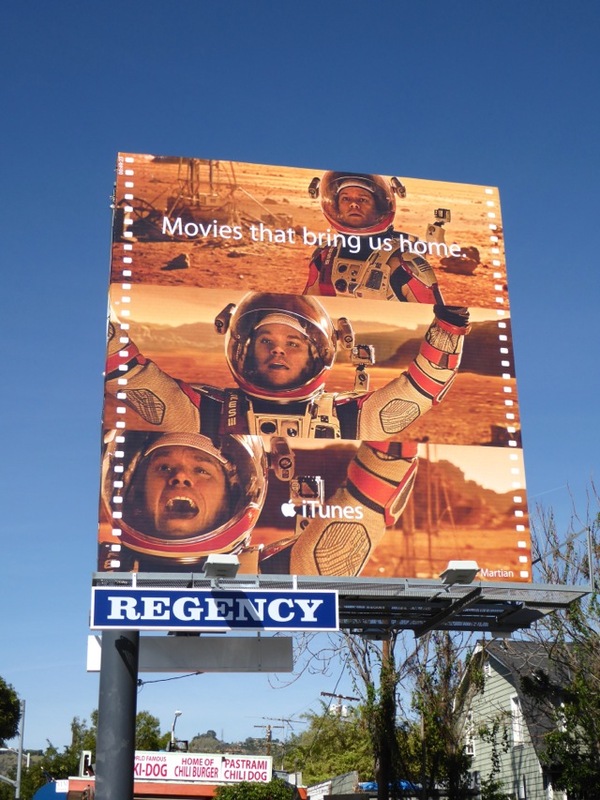 Daily Billboard isn't sure whether Apple is feeling the competition from the likes of streaming services and on-demand platforms like Amazon Prime, Netflix, Hulu and more, or whether it just wants to remind people that you can stream and buy films on iTunes, but their latest outdoor ad campaign certainly helps highlight their movie offering. 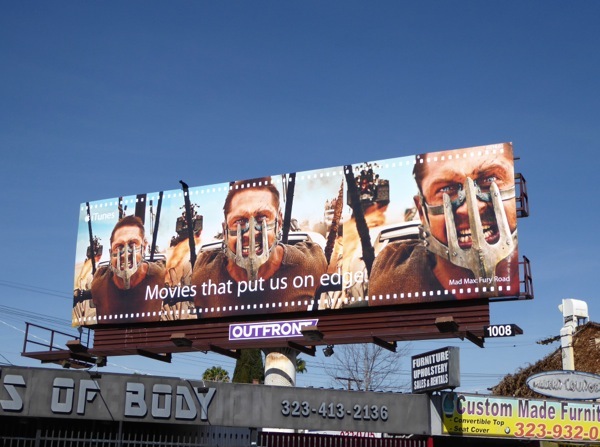 Cleverly their billboards utilise some of last year's biggest box office hits, like Mad Max: Fury Road, The Martian and Straight Outta Compton, to help turn heads, with a cool frame-by-frame design which screams movies in an eye-catching way. 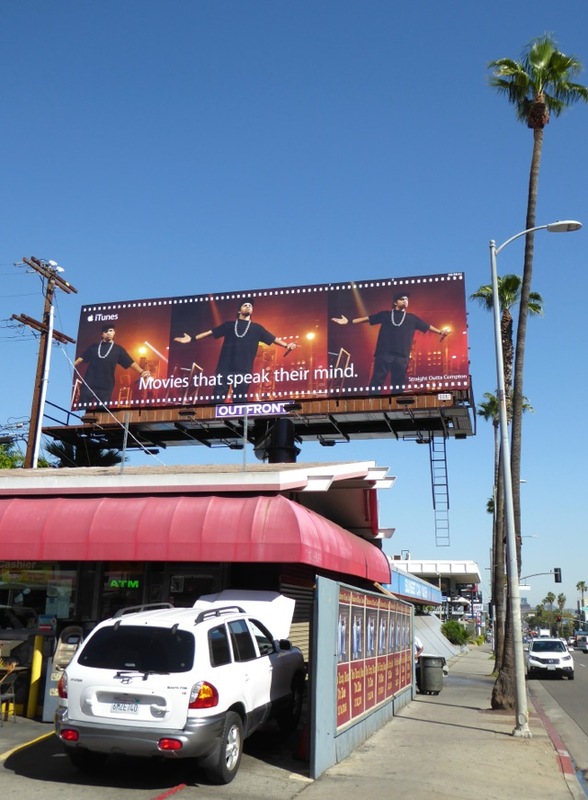 These arresting iTunes movie billboards were snapped standing out along Melrose Avenue, Fairfax Avenue and Sunset Boulevard on February 24, 2016. 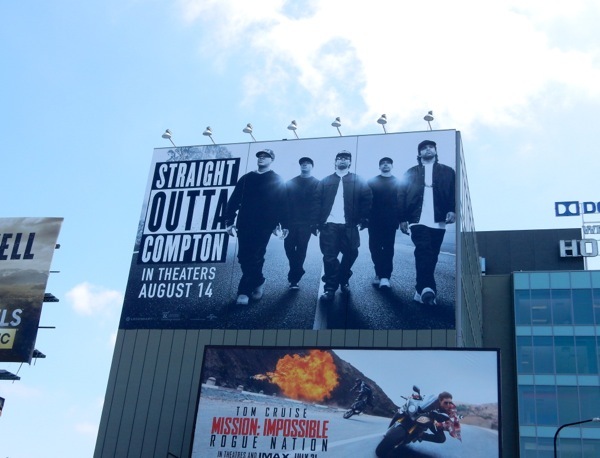 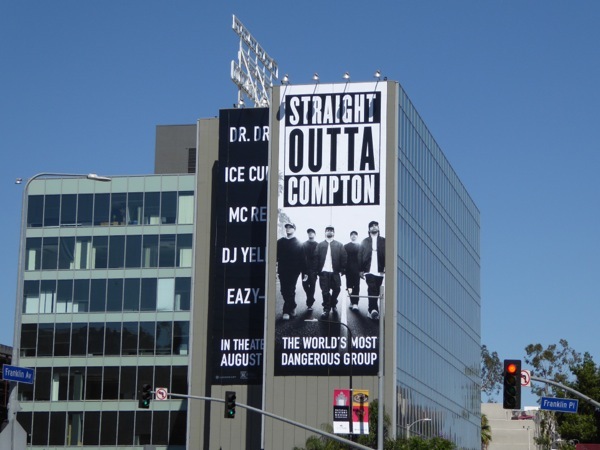 Meanwhile, as an extra bonus, these giant-sized billboards for Straight Outta Compton's theatrical release were photographed at the intersection of Highland and Franklin Avenues on July 21, 2015. 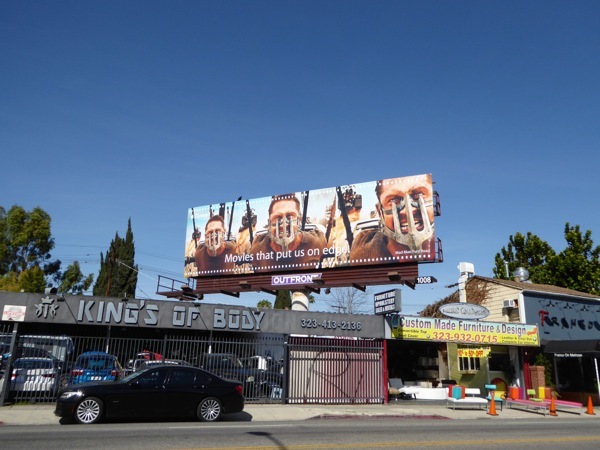 If you're a fan of George Miller's latest Road Warrior installment, be sure to also check out these Mad Max: Fury Road billboards and movie costumes on display from the futuristic wasteland. 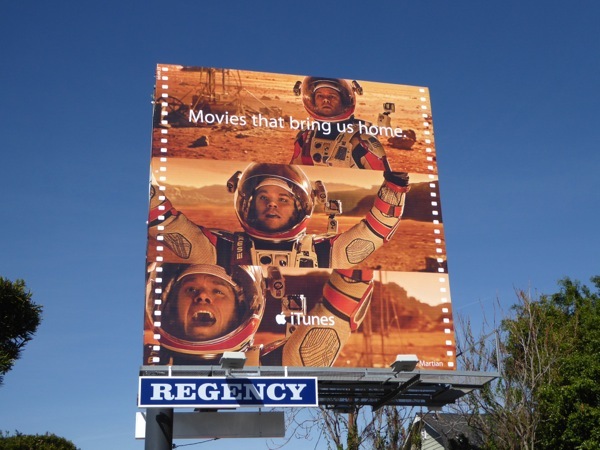 Plus if you enjoyed Matt Damon's castaway-on-Mars movie, be sure to take a look at his NASA spacesuit from The Martian on display and the billboards for the film's theatrical release and awards season ad campaigns. 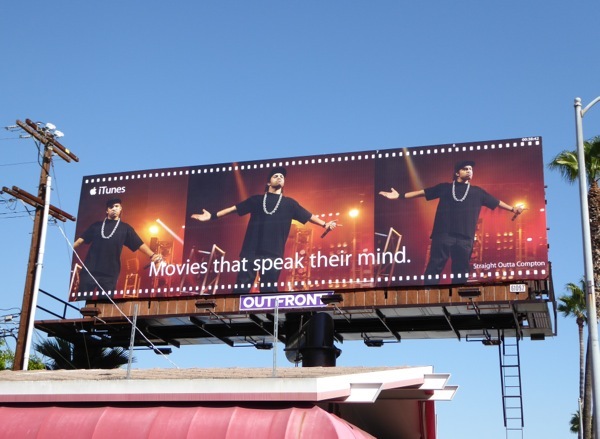 Do these billboards make you want to watch and download movies from iTunes, or do you prefer to get your films from another source?